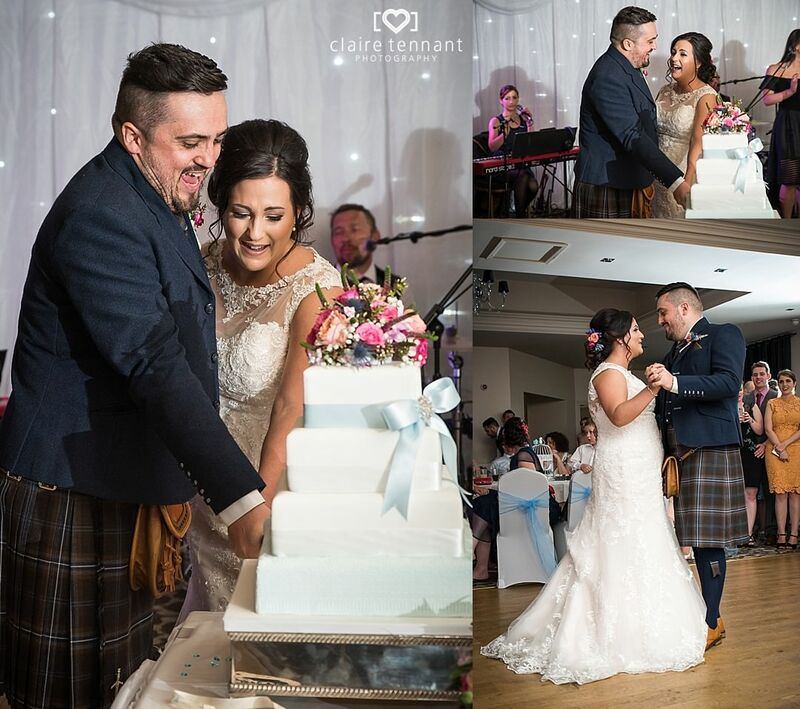 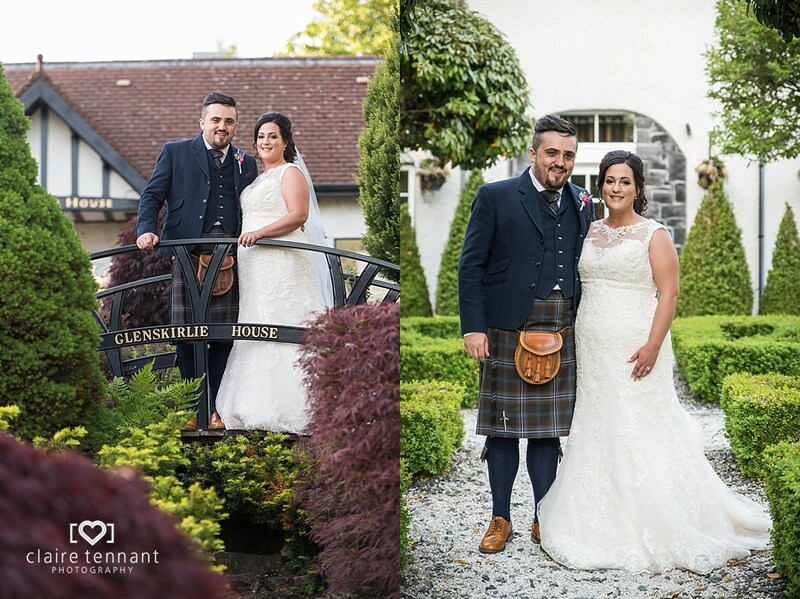 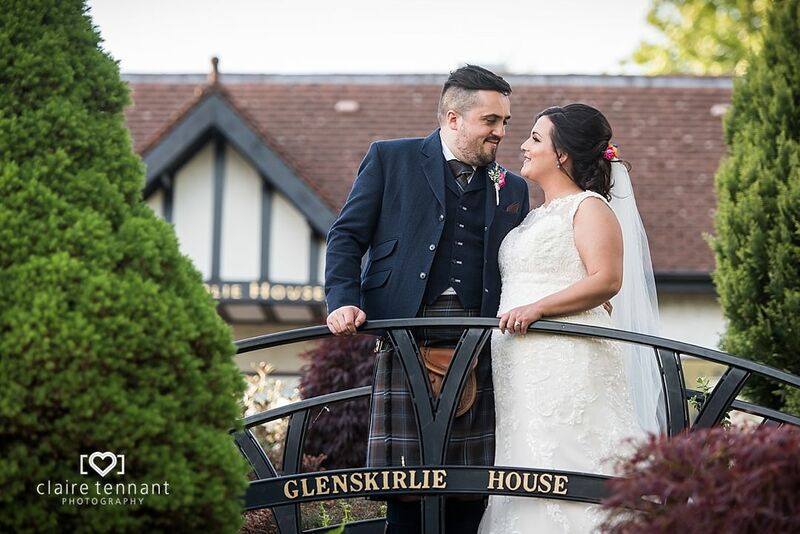 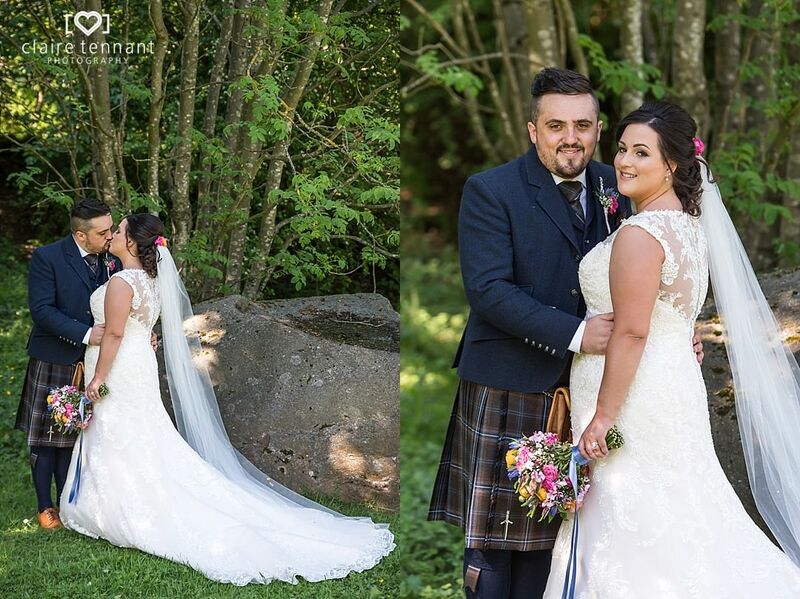 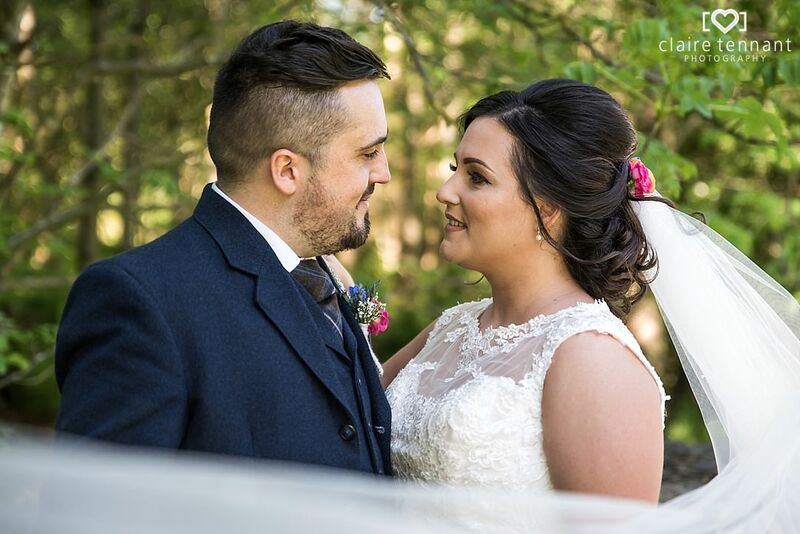 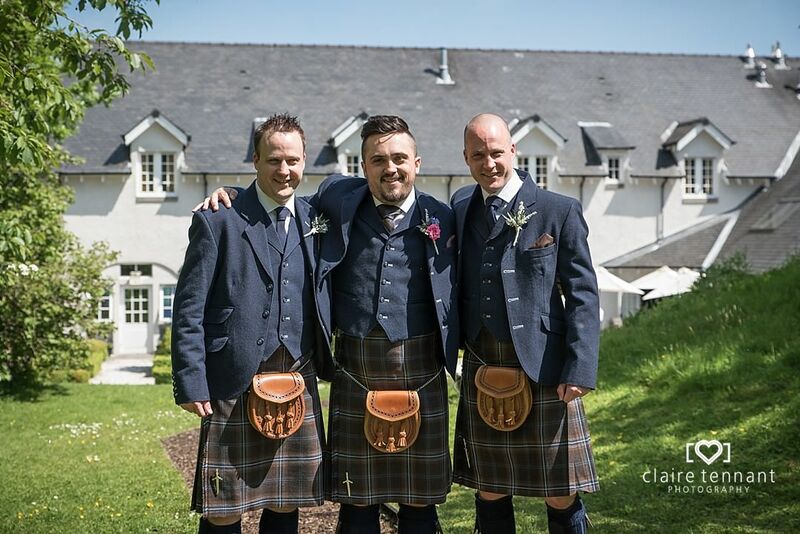 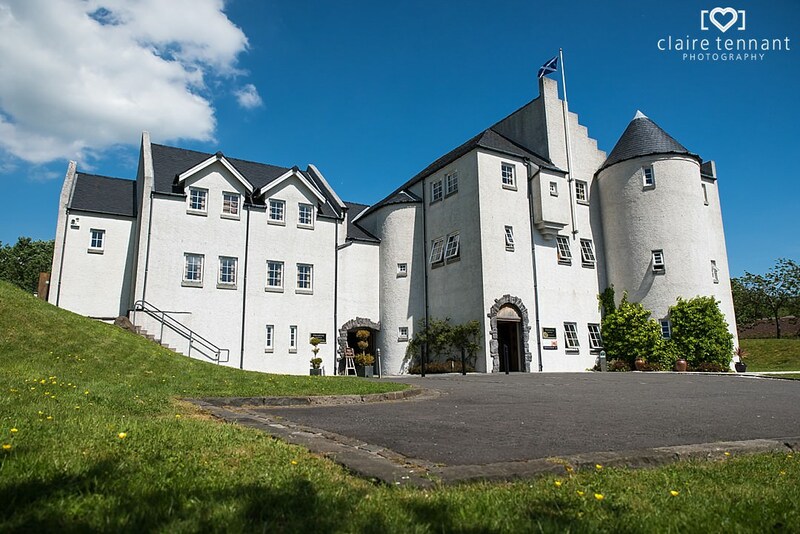 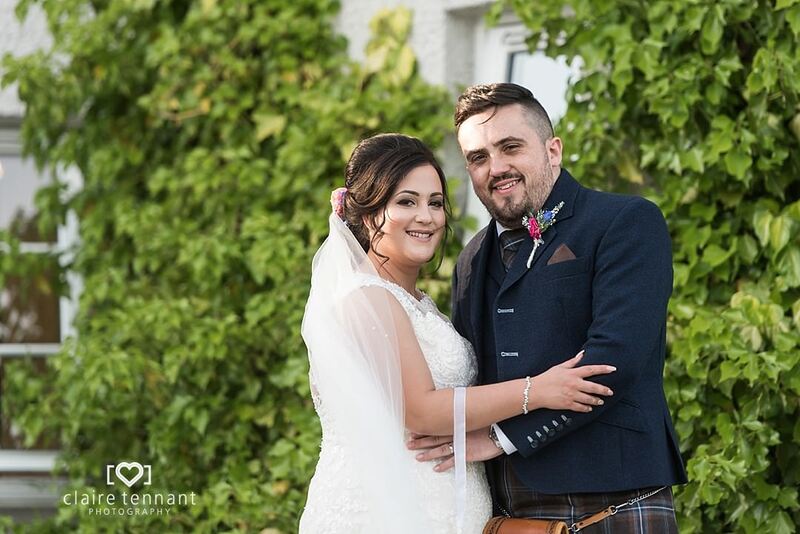 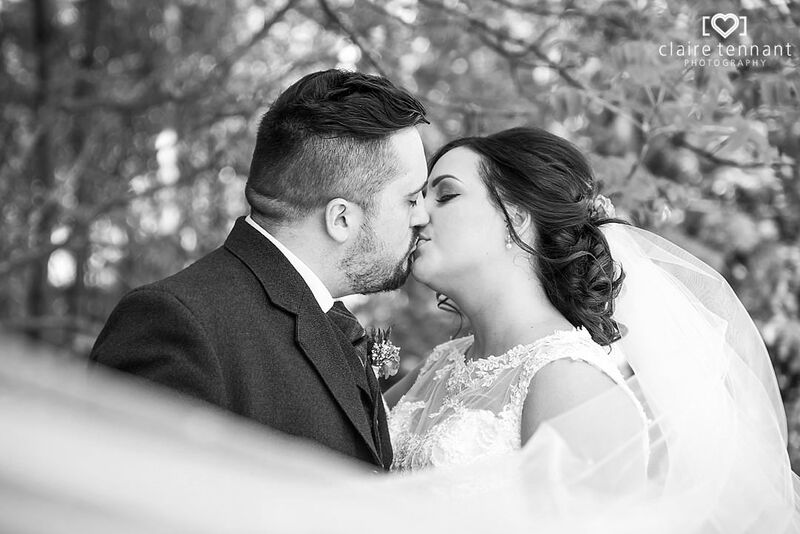 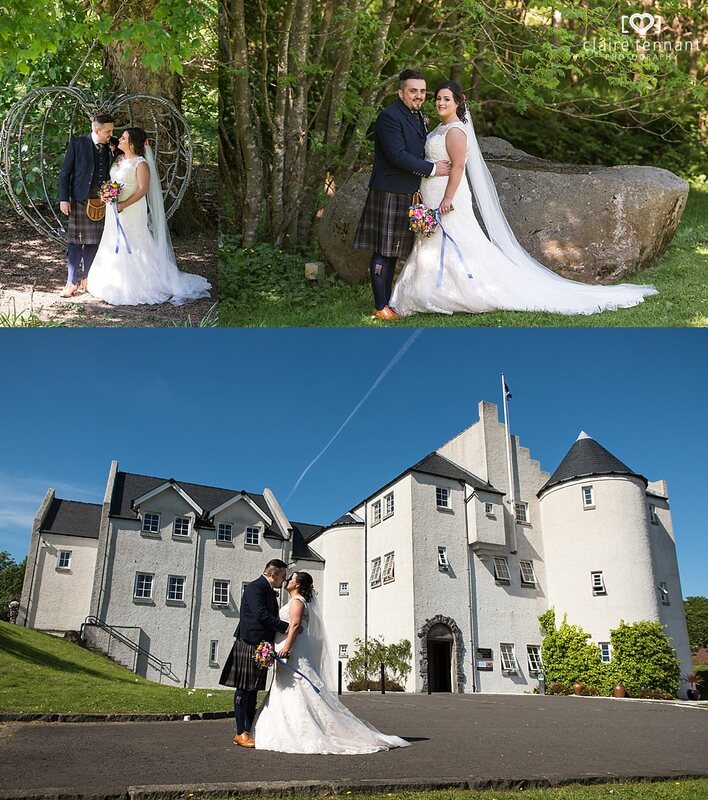 I had the pleasure of photographing Callum and Laura’s beautiful Glenskirlie Castle wedding last Summer. 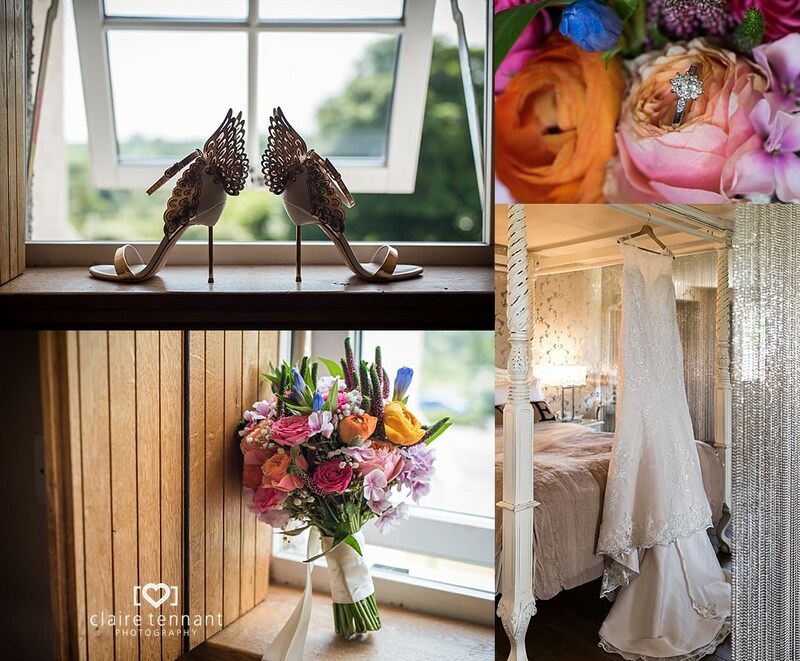 It turned out to be one of the warmest and sunniest weddings I photographed last year…maybe even ever! 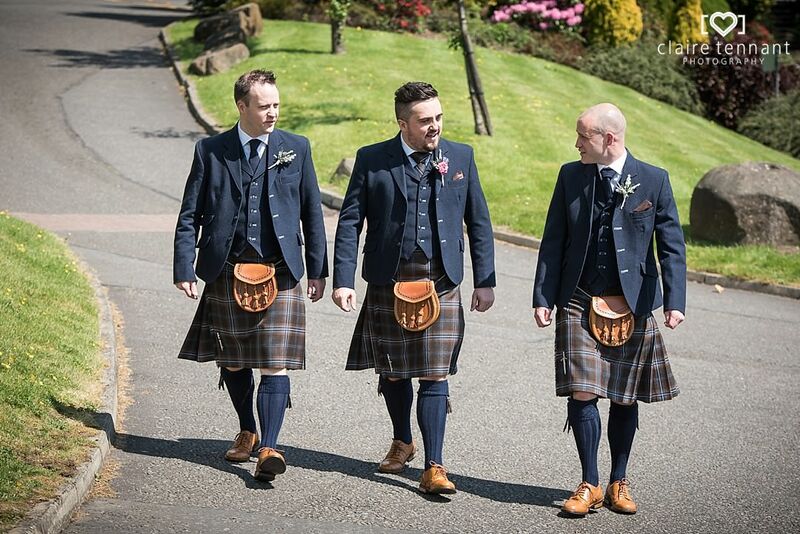 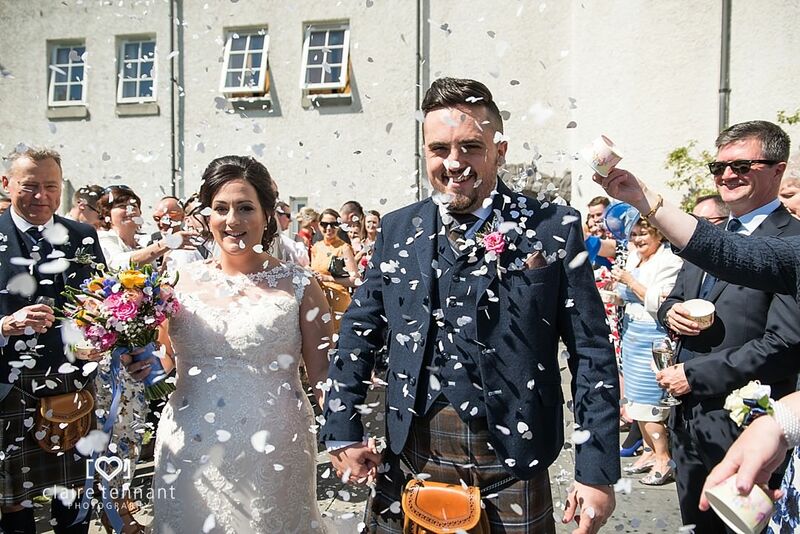 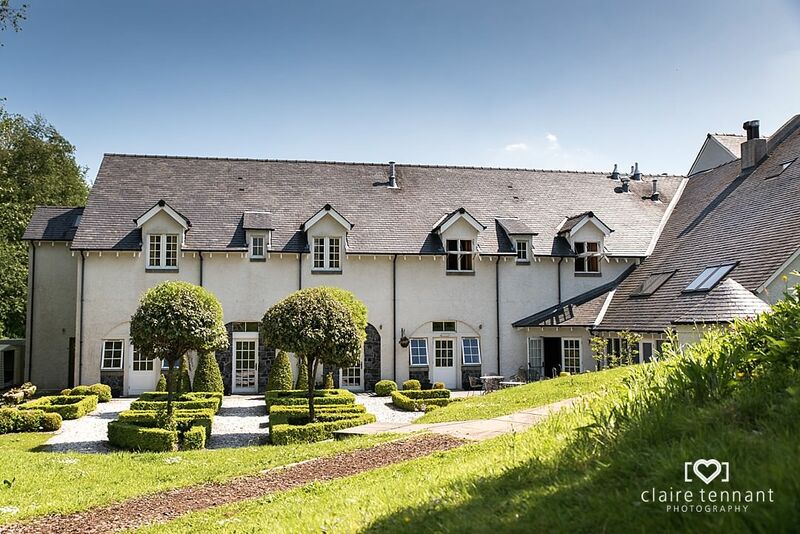 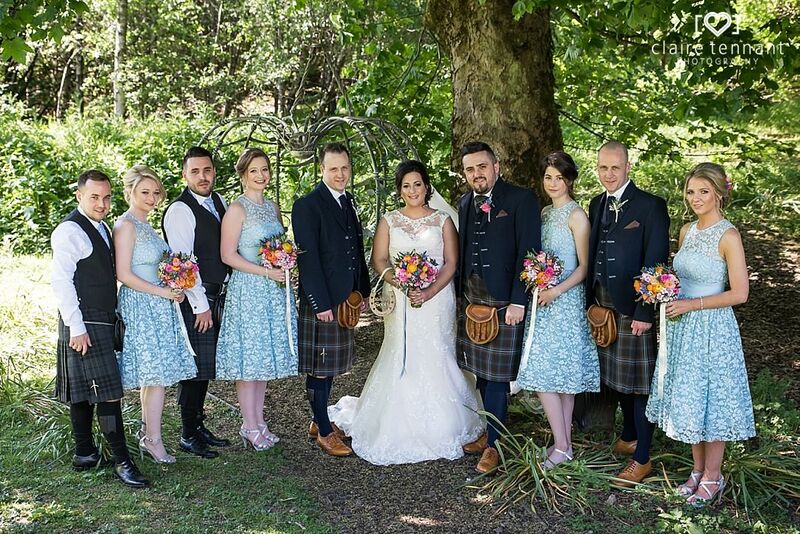 Perfect for Callum and Laura’s guests topping up their tans while they had a celebratory drink after the ceremony! 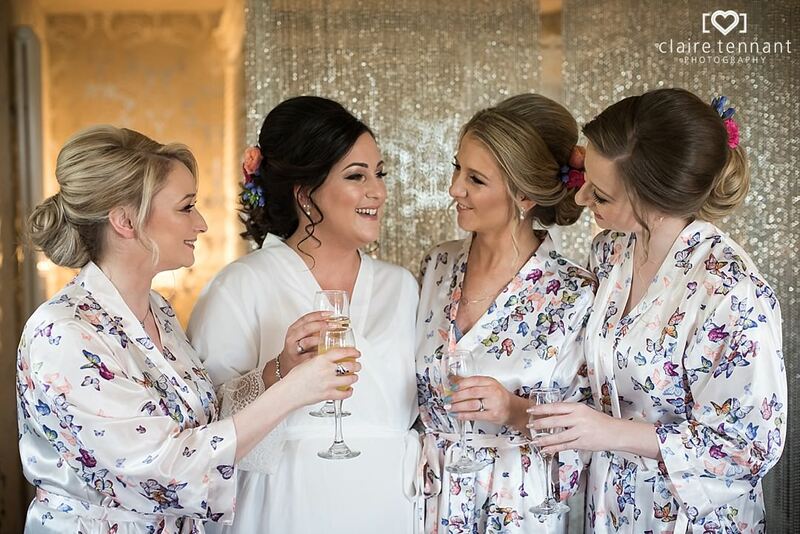 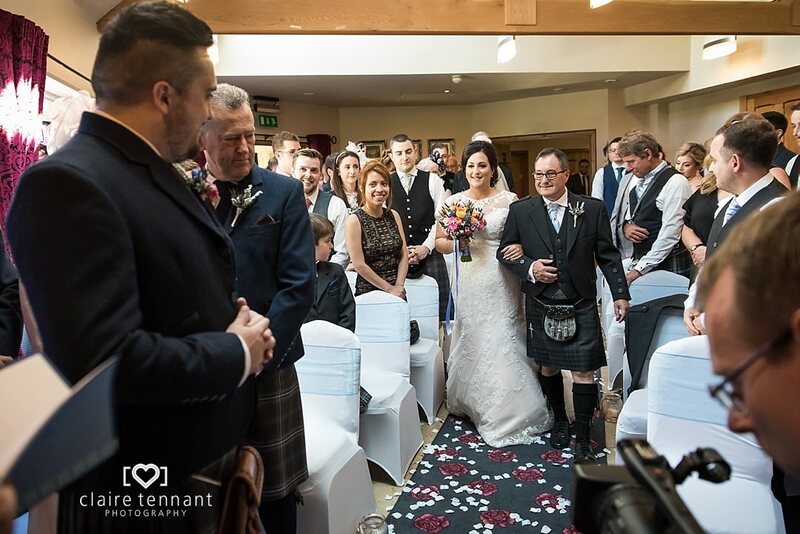 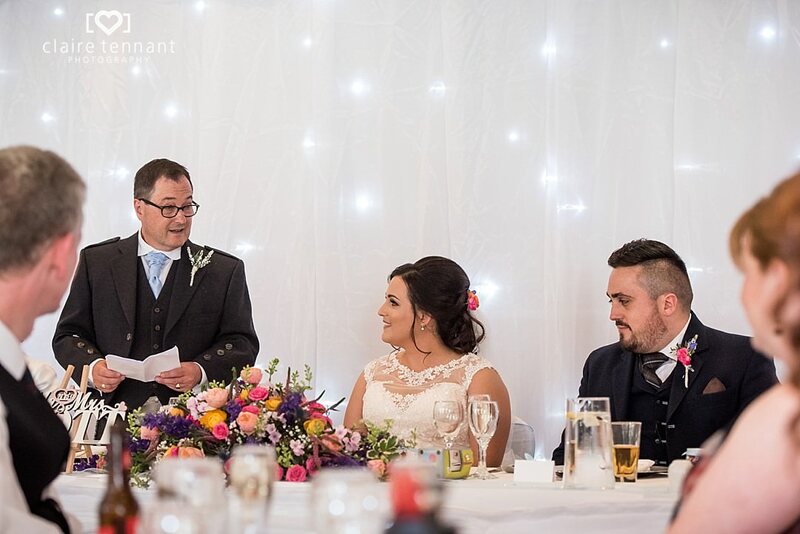 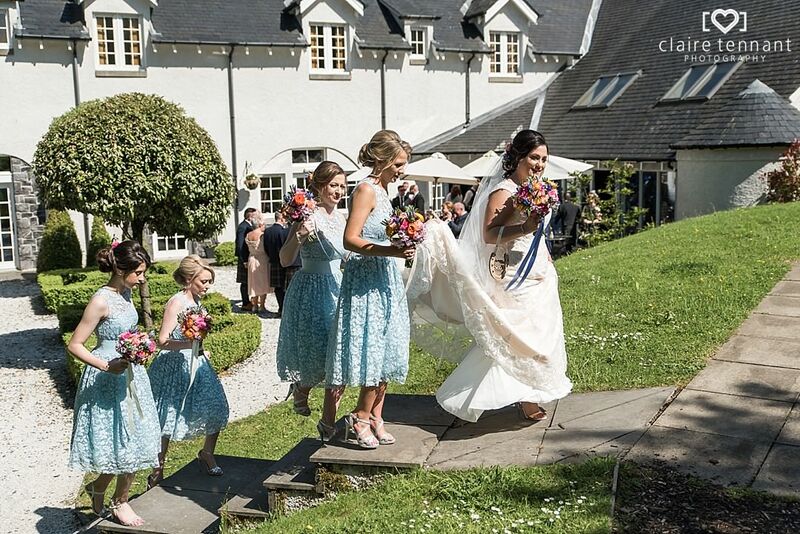 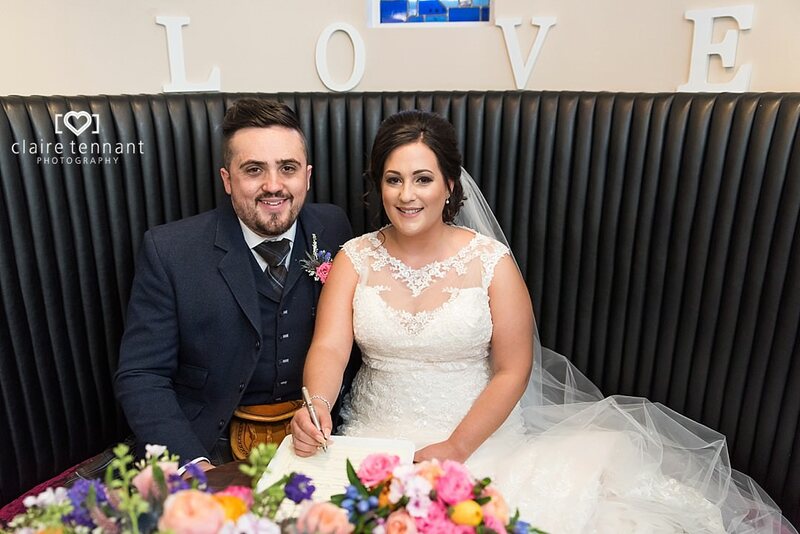 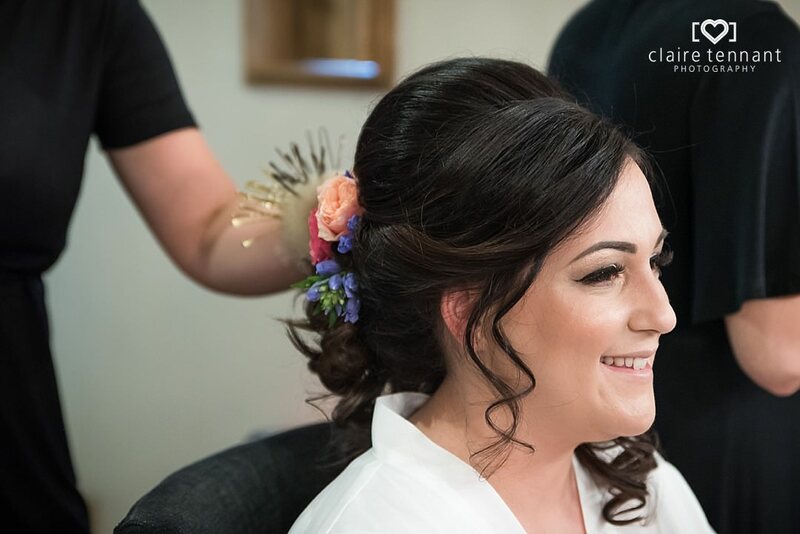 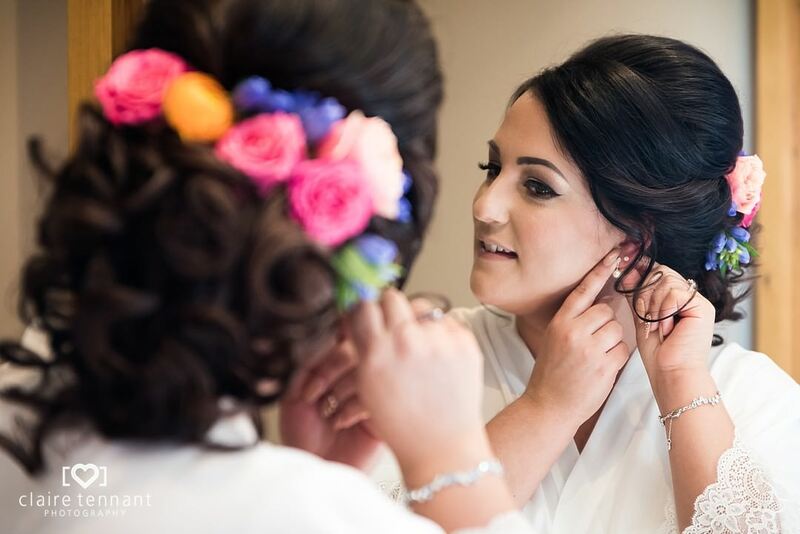 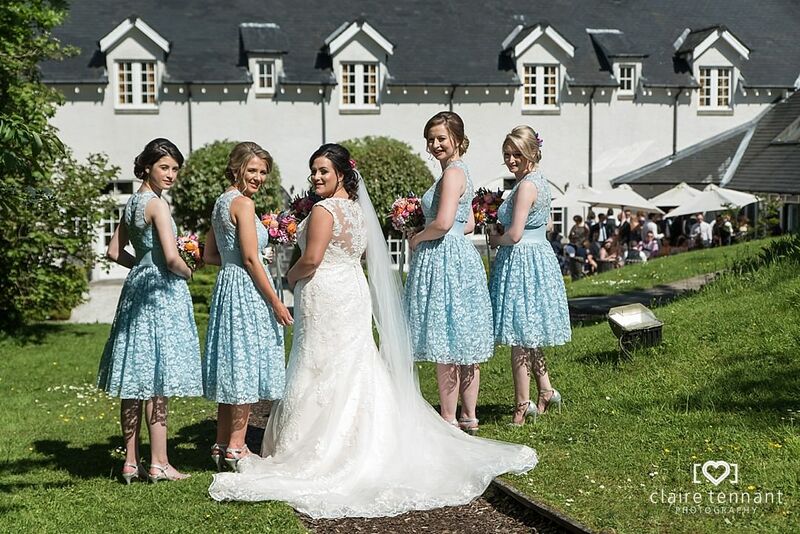 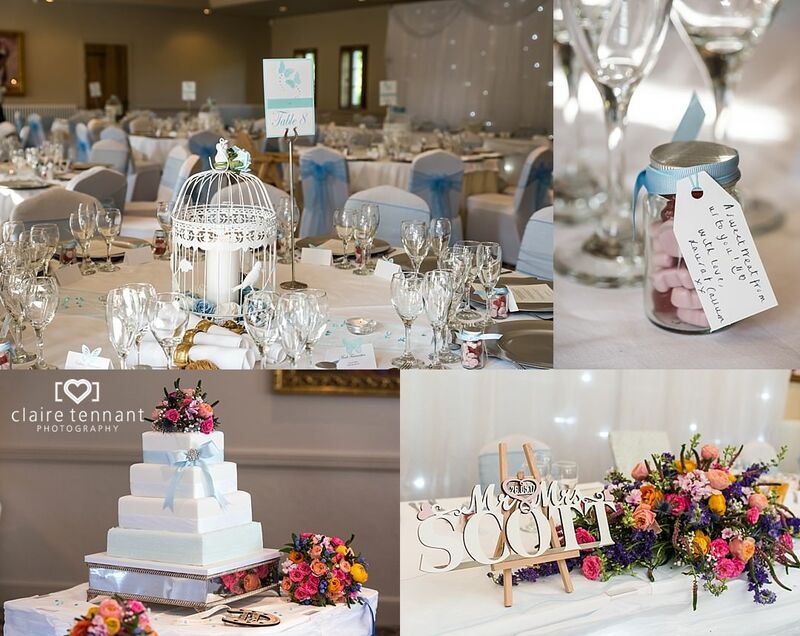 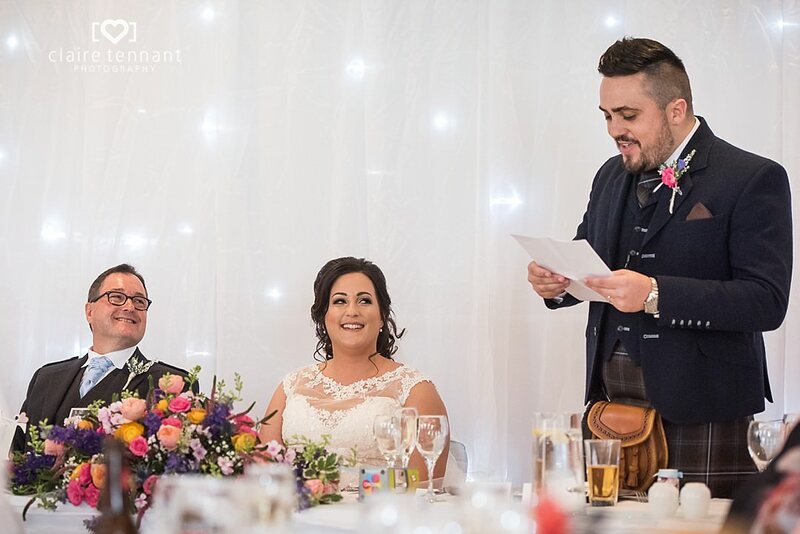 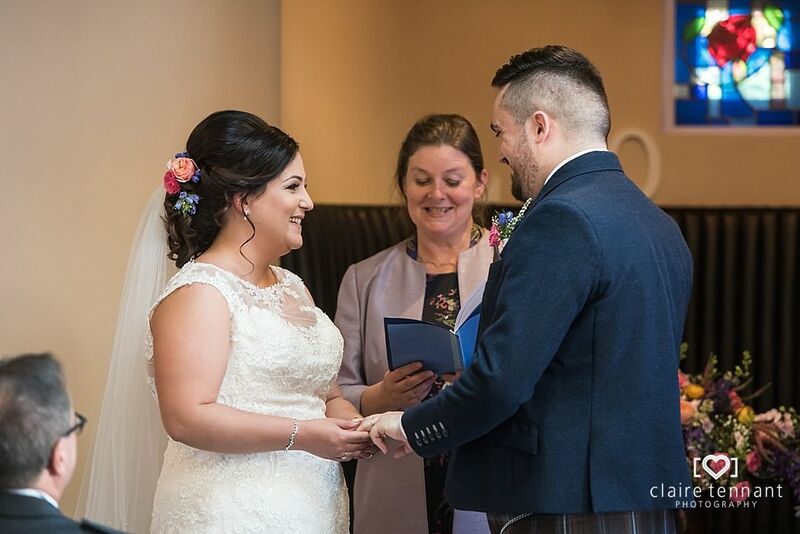 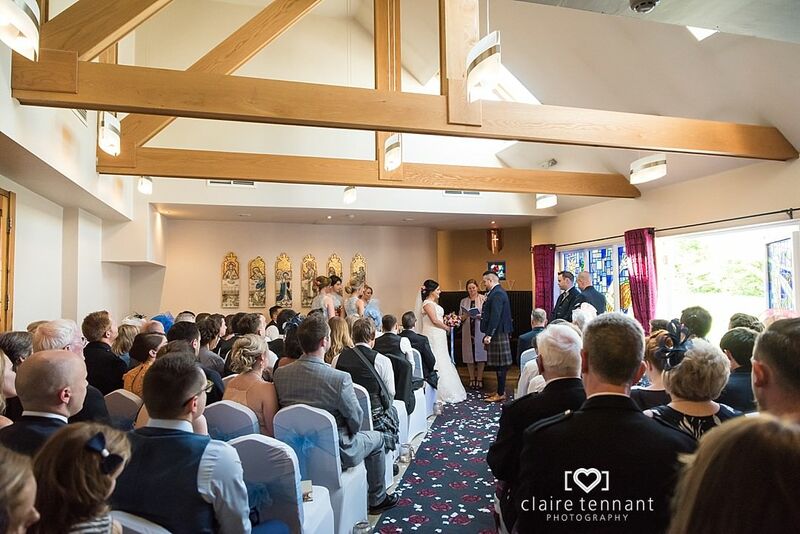 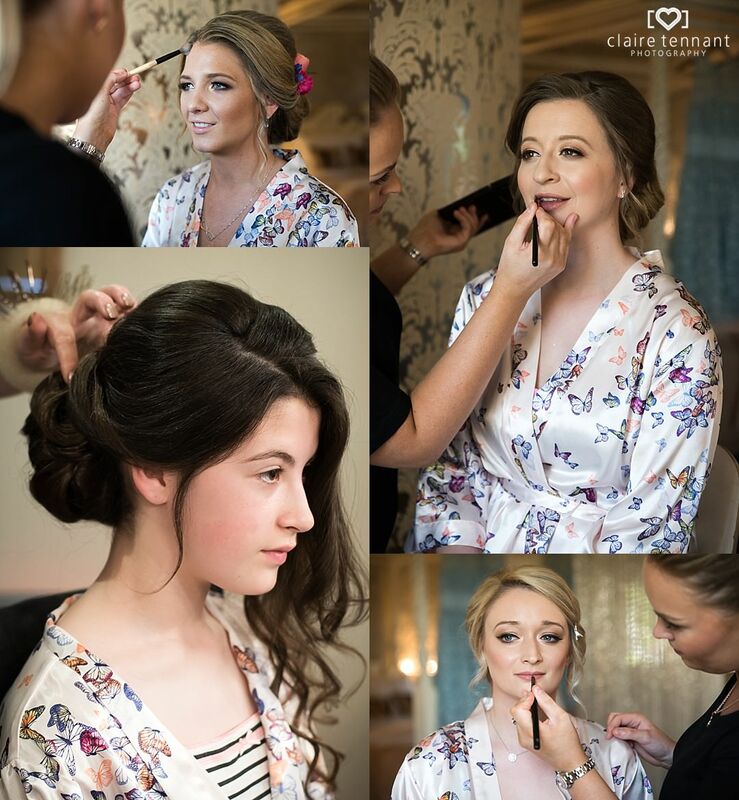 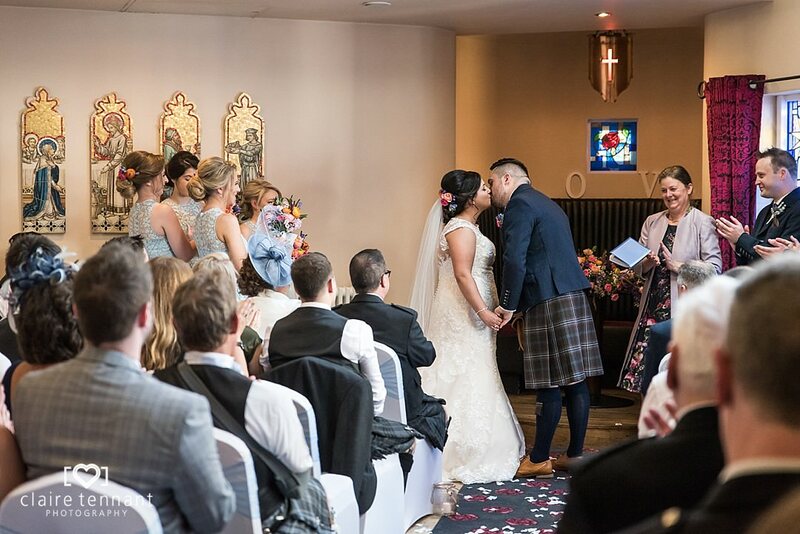 Laura chose to get ready at the hotel which made it very relaxed and I was able to pop back and forth between Laura and Callum as well as catch a few guests arriving. 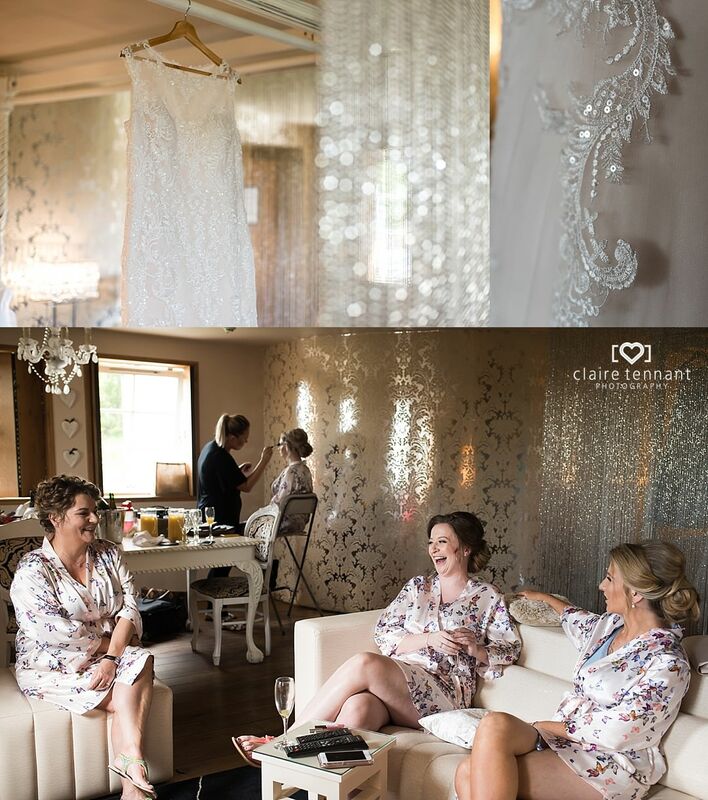 The bedrooms at Glenskirie Castle are amazing for bridal preparations as they’re so opulent and luxurious. 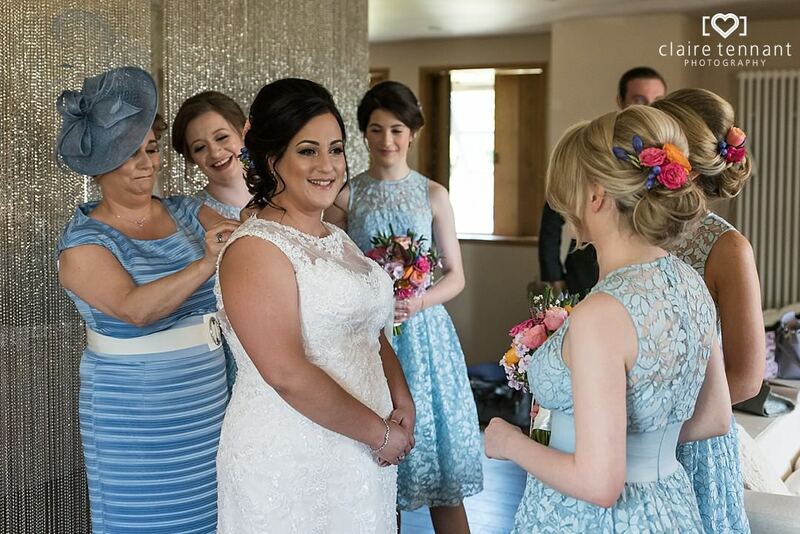 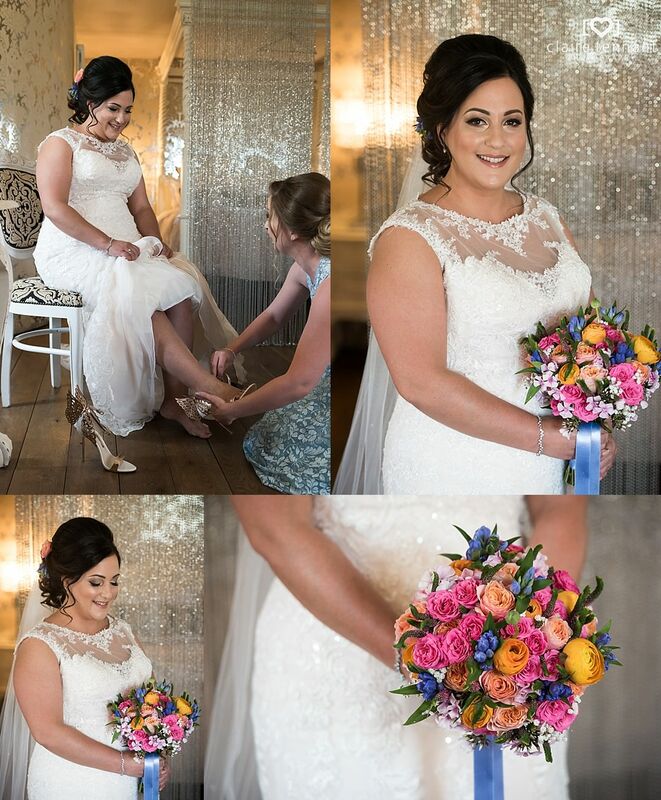 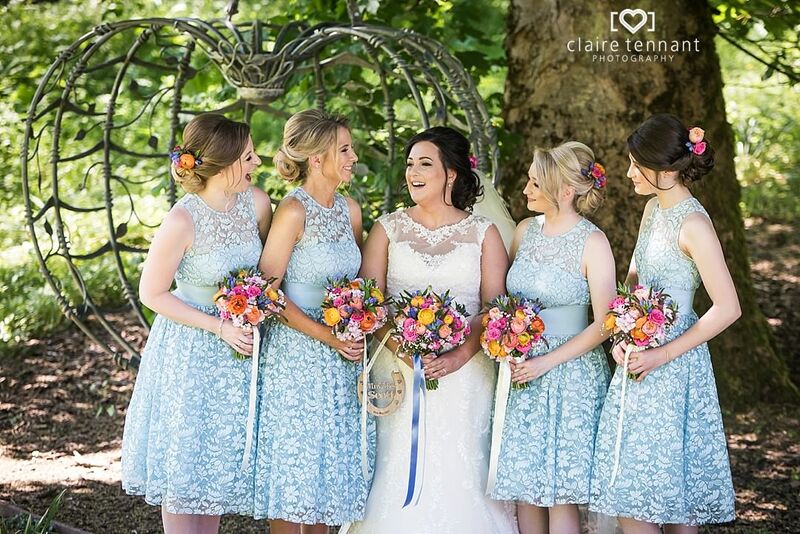 Laura looked stunning, I loved the colourful flowers in her hair which tied in perfectly with her bouquet and blue wedding theme. 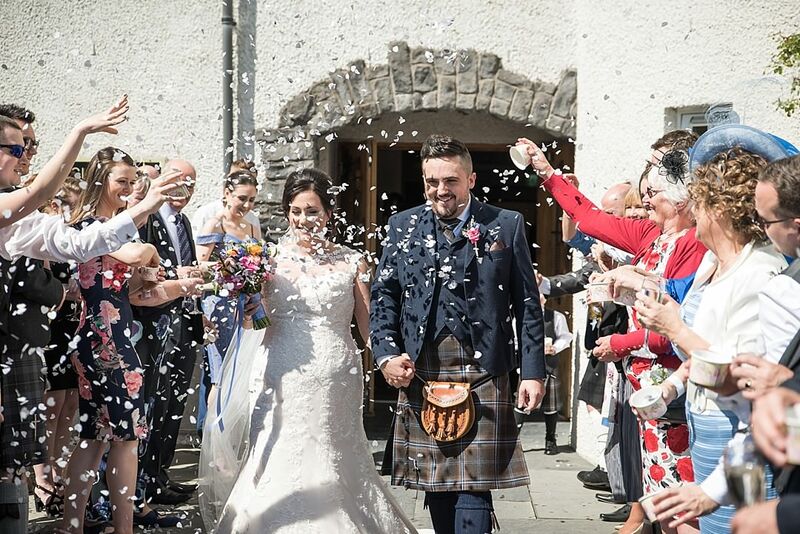 After a lovely personal ceremony everyone went outside for a big confetti group photo which was lots of fun! 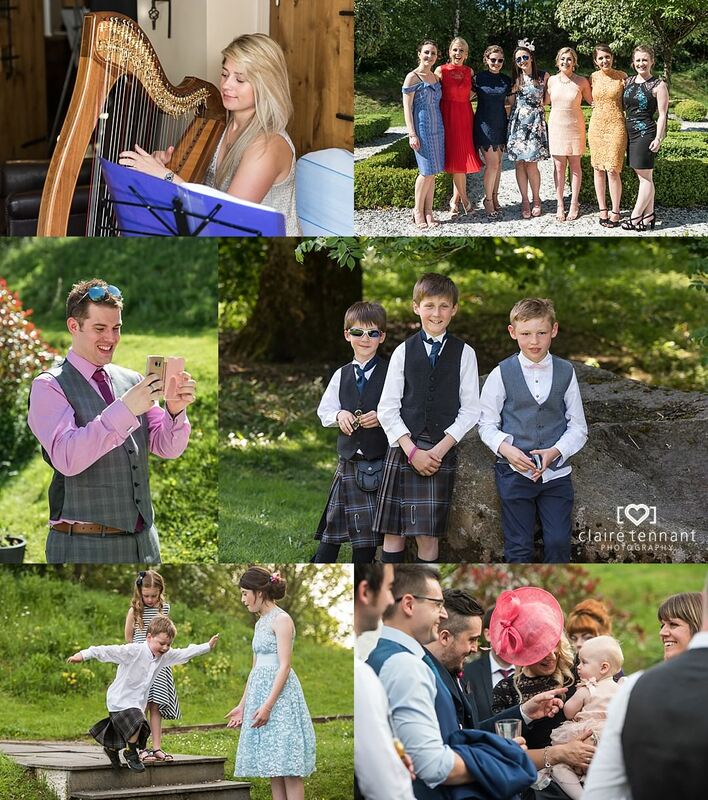 Then it was onto the smaller family and bridal party group photos while the guests enjoyed the celebrations. 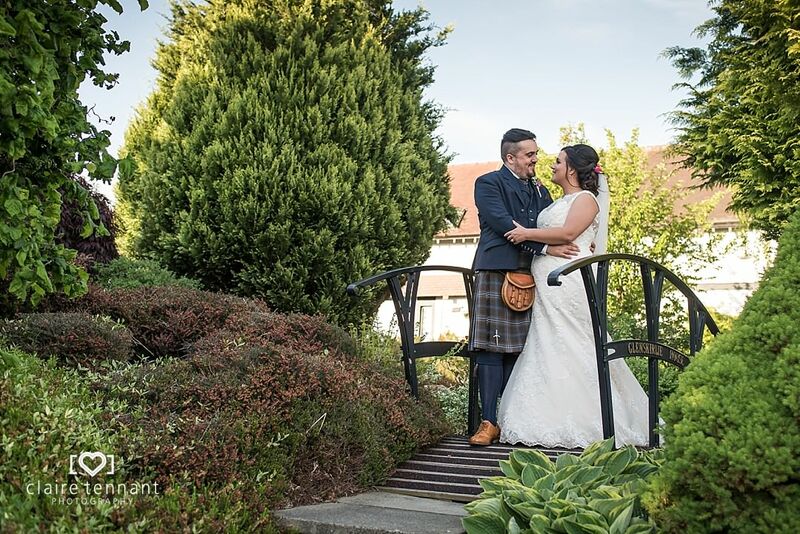 The shaded area next to the love heart swing came as welcome relief from the heat of the sun as well as being a great location for photos. 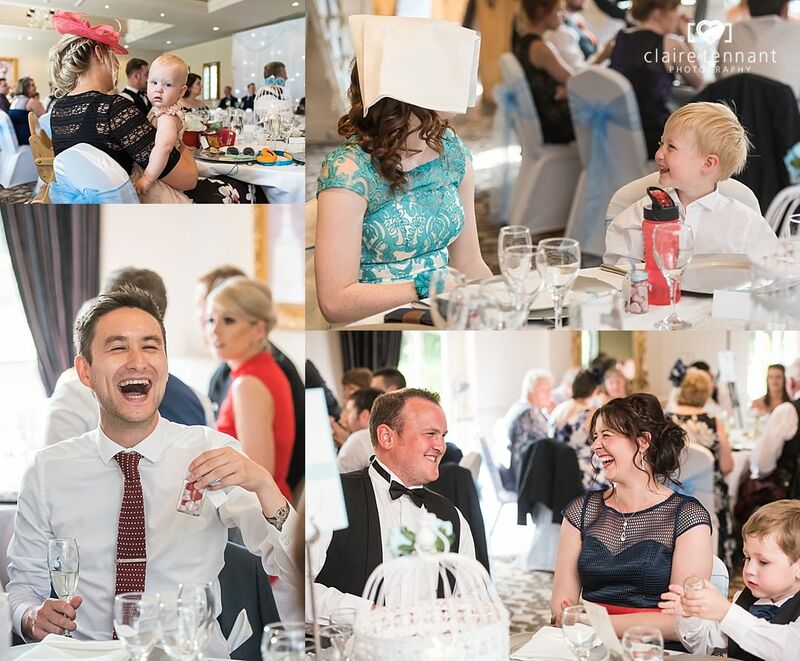 It was a fun wedding with lots of opportunities to photograph everyone enjoying themselves. 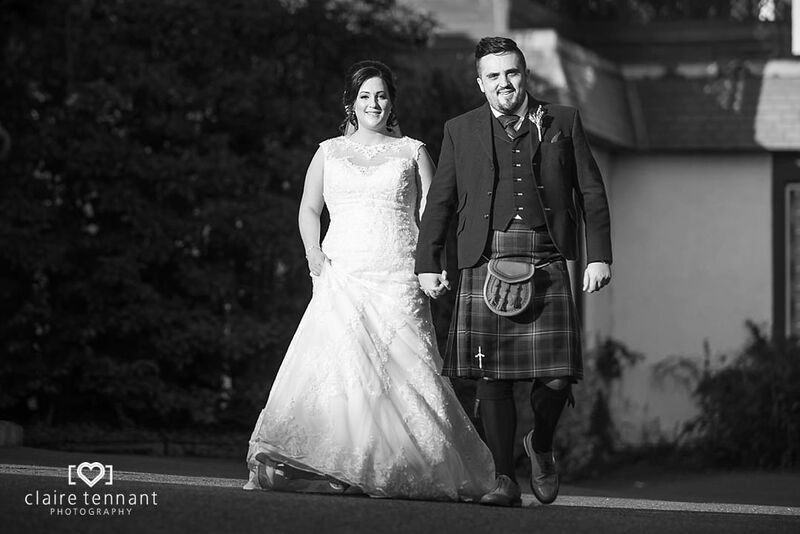 It was also great to see a few several familiar faces from previous weddings I’ve photographed!